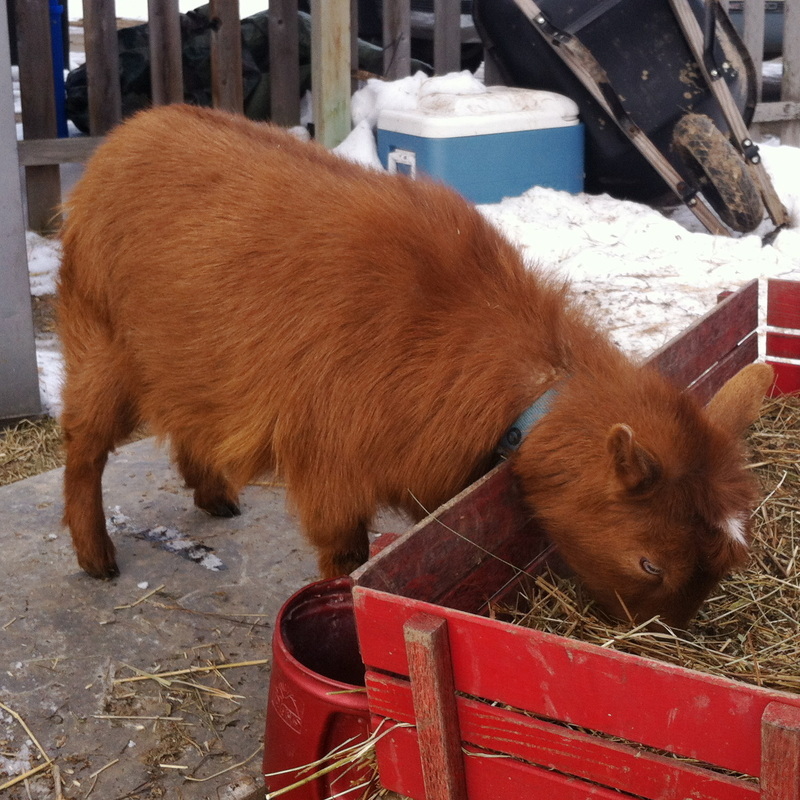 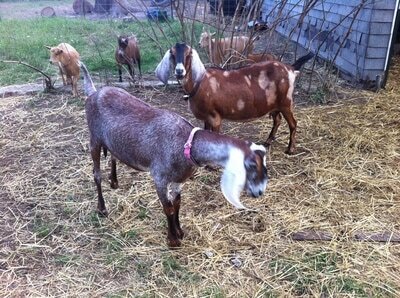 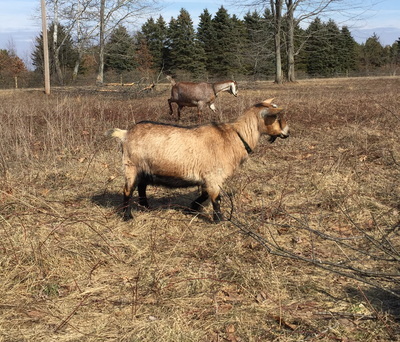 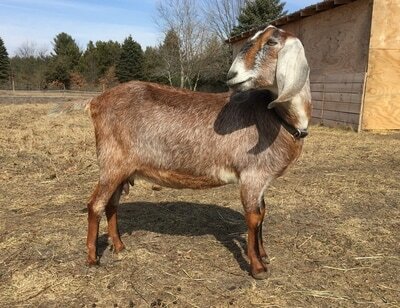 Ginger is one of our Nubian does who we are using to start our Mini Nubian lines. 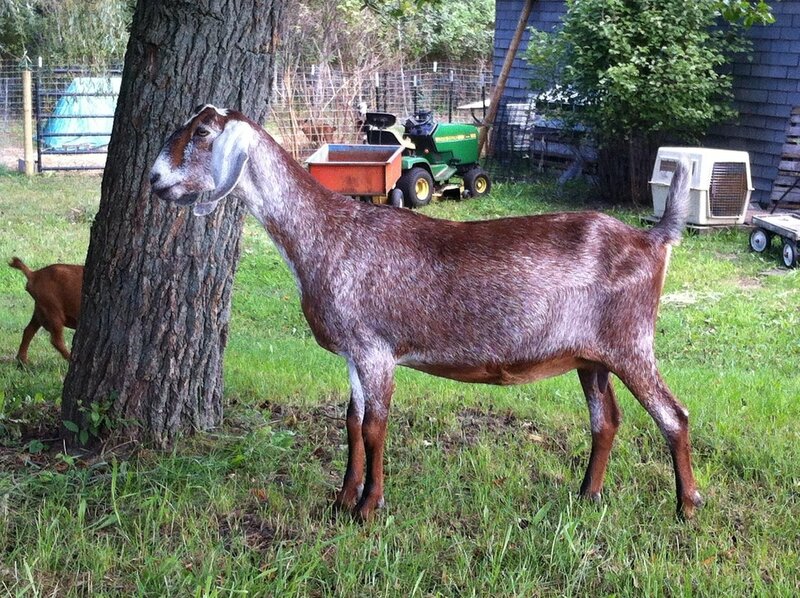 She has a nice udder and throws beautiful moon spotted babies. 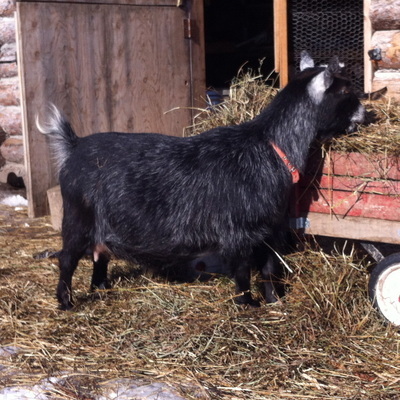 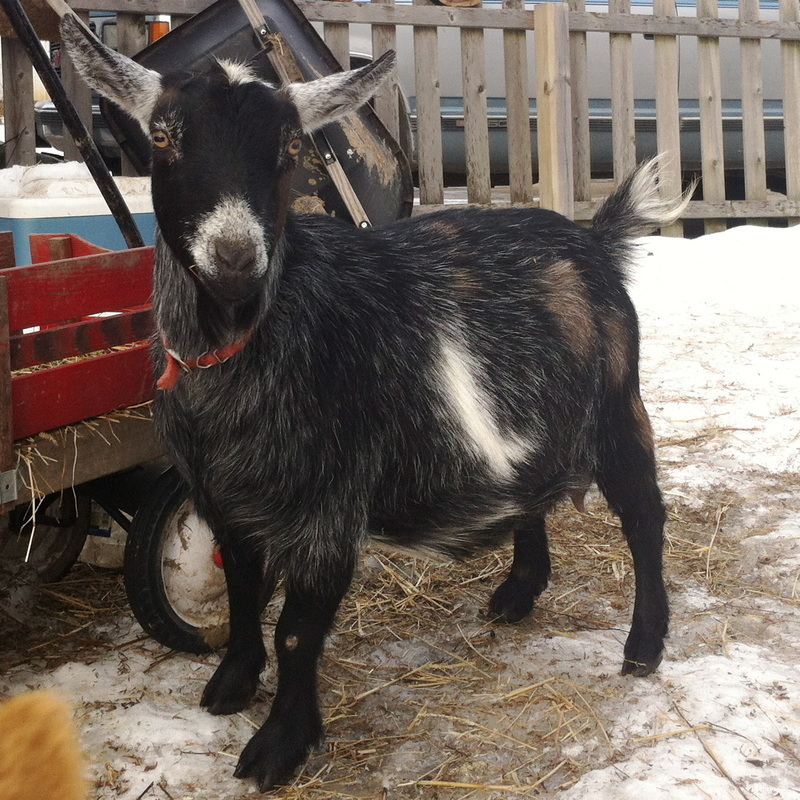 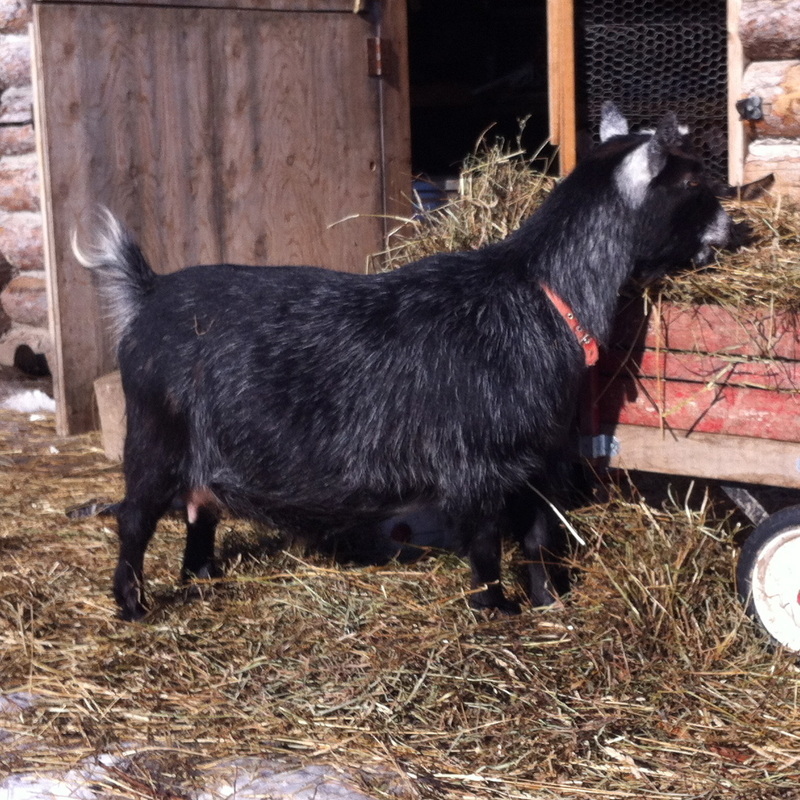 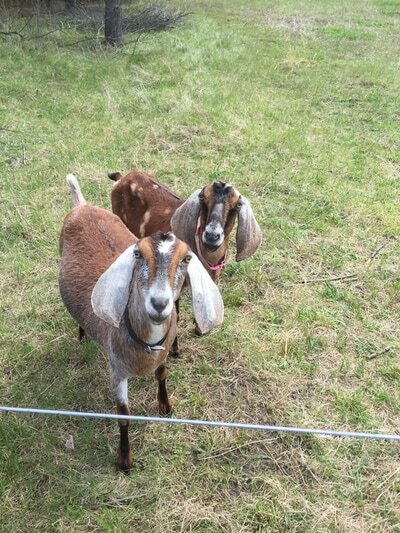 Lady is a spunky goat with a fun personality. 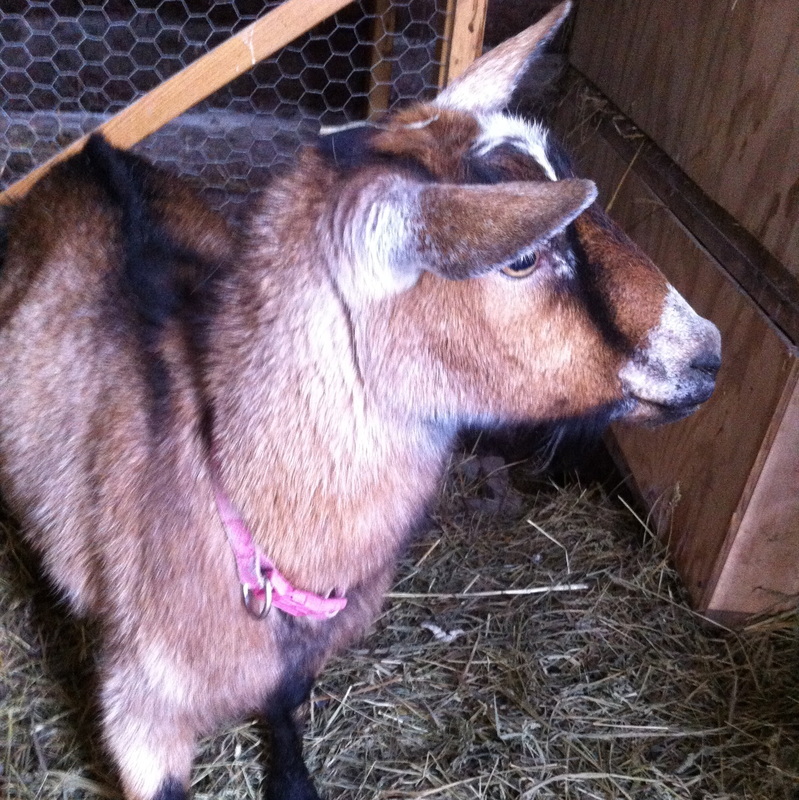 The attachment of her udder could be better, but she has a lovely soft udder and milks out very quickly. 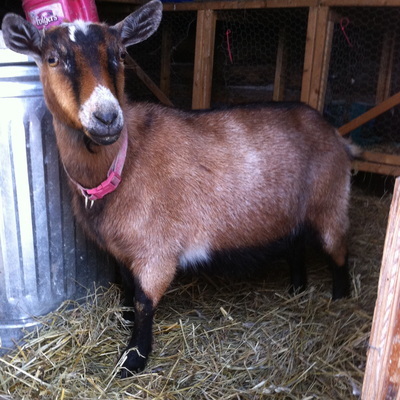 Selah is very friendly and loves attention from people. 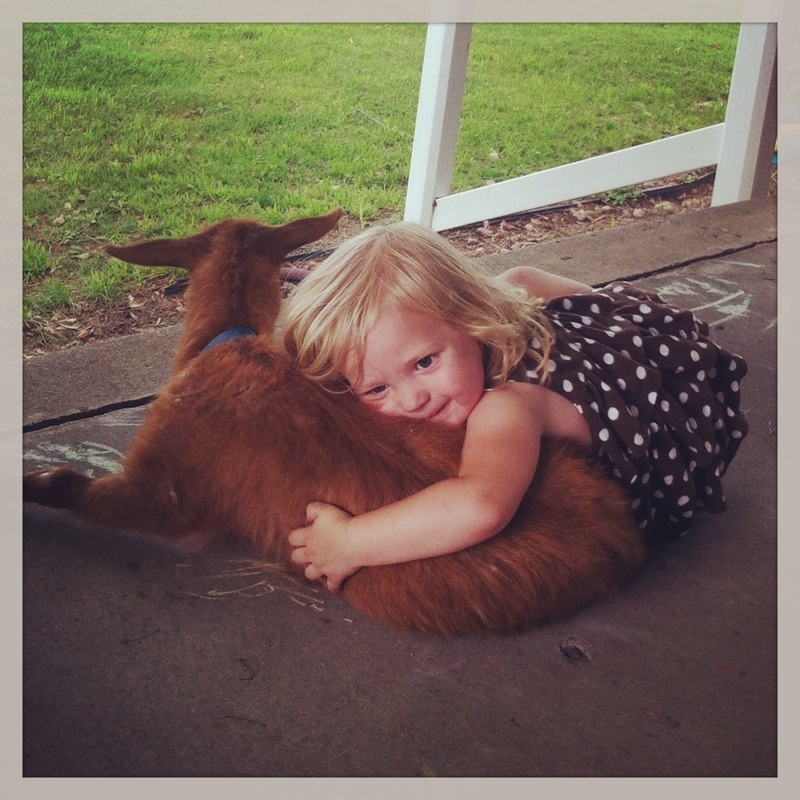 Selah is a great mama and even mothers the other does' kids in the barn. Georgia is one of our Nubian does who we are using to start our Mini Nubian lines. She is Ginger's daughter and has an amazing udder. We kept a buckling out of Georgia last year to use in our Mini Nubian lines. Belle is our daughter's beloved goat! She has a beautiful udder and is my favorite goat to milk.